Comfort Option - Simply Better Sleep. In a dizzying world of mattress options, both online and in traditional retail stores, we're often met with the question, "What makes your mattresses better?" Our answer is always the same and, today, we thought we'd take a few minutes to explain the difference with Comfort Option mattresses and why it is that we do what we do. For those of you who are unfamiliar, we manufacture each and every one of our own products at our headquarters and factory on the outskirts of Indianapolis, IN. 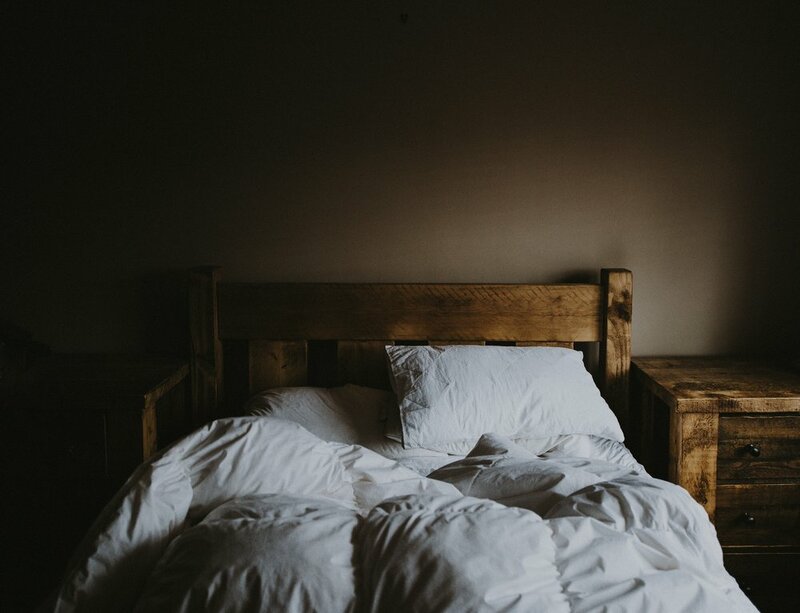 We have a rich history in foam and bedding manufacturing and, over the course of the past six decades, have learned a few unfortunate things about the bedding industry. We could talk at length at this (and would love to if you ever have any questions), but suffice it to say, gimmicks have become so common that they're expected and mark-up is so high that it is reaching levels that we feel are dishonest. In short, we were watching on the sidelines as manufacturers and came to the conclusion that there had to be a better way. After much thought and careful planning, we launched Comfort Option in the spring of 2017. Our premise is simple: a no-frills, gimmick-free mattress company focused on you, the customer. Our mattresses are top-tier and manufactured using the principles, materials, and techniques we've garnered over generations in the industry. We purposefully keep our overhead low and, rather than sell our mattresses to other companies, retailers, distributors, etc., we sell them directly to you, our customers, for a fair and unbeatable price, free of all middle-men and unnecessary mark-up. Finally, we pair our products with a level of service that we feel has been missing from an industry dominated by corporate giants. Free white glove delivery, free mattress recycling, and a warranty that actually serves you are included with each purchase. If traditional retail is your thing, you could go to a large, big-box retailer and pay $2500 (or more) for a Queen-sized, 10-inch Tempuredic mattress. OR, you could purchase a Queen-sized, 10-inch Comfort Option customized mattress, made with directly comparable materials for $895. That's right. Identical and lasting comfort for roughly 65% off. More interested in a bed-in-a-box purchased online? We have good news for you, too. You could easily pay $1000 for a queen-sized Casper, Leesa, or any one of the other e-commerce mattress options. OR, you could pay $590 for the Comfort Option Alpha, our bed-in-a-box model that is, once again, made with directly comparable materials (in fact, we think you'll find ours superior). That's over 40% off of the prices advertised by the people who claim to have "disrupted" the mattress industry. How can we offer comparable mattresses at such discounted prices, you ask? By simply removing the mark-up and the unnecessary overhead. Mattress stores have a physical building to pay for, sales people's salaries and commissions, and they don't actually manufacture any of their own products. The large, online bed-in-a-box companies have removed the storefronts, but simply replaced them with astoundingly high digital marketing budgets (if you're curious about the numbers, it's estimated that most will spend around $400 in marketing to sell you a $1000 mattress) and the vast majority still don't manufacture their own products. Remove this clutter, remove all the excess and all the noise, and go straight to the source. That is how we offer a better mattress for far less. To conclude, we'd like to answer the final question that is surely on your mind. Our mattresses cost less, use quality materials, and we manufacture ourselves... but are they comfortable? Absolutely, and unbelievably so. But don't just take our word for it. Check out what others have said, and if you're able, free to stop by either one of our showrooms to try our mattresses for yourself. We're confident that you'll love the results.